You’re only as strong as your weakest link. You may have heard that repeatedly on the baseball field in grade school, and the narrative remains the same for businesses today. With this “Complete CSR Toolkit” we’re stepping up to the plate of benefits of corporate social responsibility and we’ll show how companies can use it to create a happier and more successful work environment. Part 1 of our “Complete CSR Toolkit” series examines the importance of team building, for the individual, for the team, and for your bottomline. Volunteers from the Jewish Federation of South Palm Beach County smile wide during a food drive. In a world brewing with powerhouse corporations, motivated startups, and all in between, a crucial aspect of every business is how the moving parts, or your employees, work within. If the moving parts don’t operate smoothly, there are bound to be issues with communication, job satisfaction, productivity – and your profits. While building a team of employees that operates without error is impossible, building a team of employees who openly communicate, feel positive about their jobs, are motivated and creative, and yield higher results, is a necessity. At least if you want your business to succeed in the long-term. What most businesses don’t realize is how much added value happy employees are. That’s where corporate social responsibility practices and team building programs are a worthwhile combination. Research has proven that creating team building experiences are beneficial to your company. By adding a dash of CSR into the mix, its value grows exponentially, for your business, the economy, and the environment. Good Doers from Gilat Thailand prepare food for their community in need. By supporting your team and your community simultaneously, it’s proven that employee engagement and satisfaction increase, including employee productivity, which eventually funnels up to higher revenues. 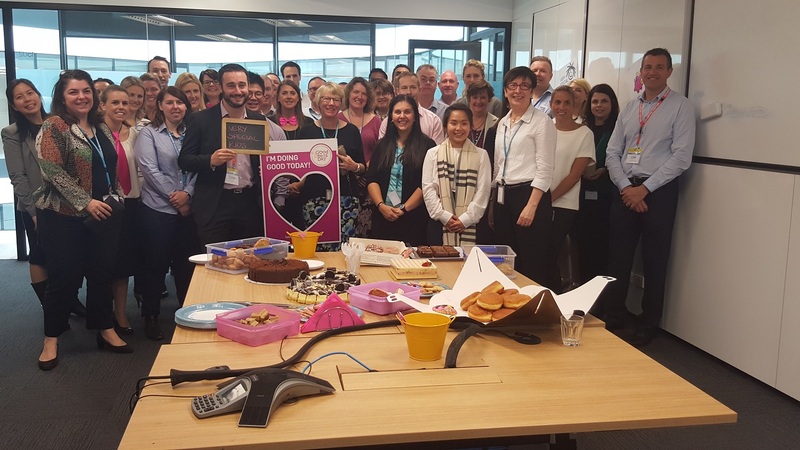 The team at Viva Energy has morning tea while preparing for Good Deeds Day. 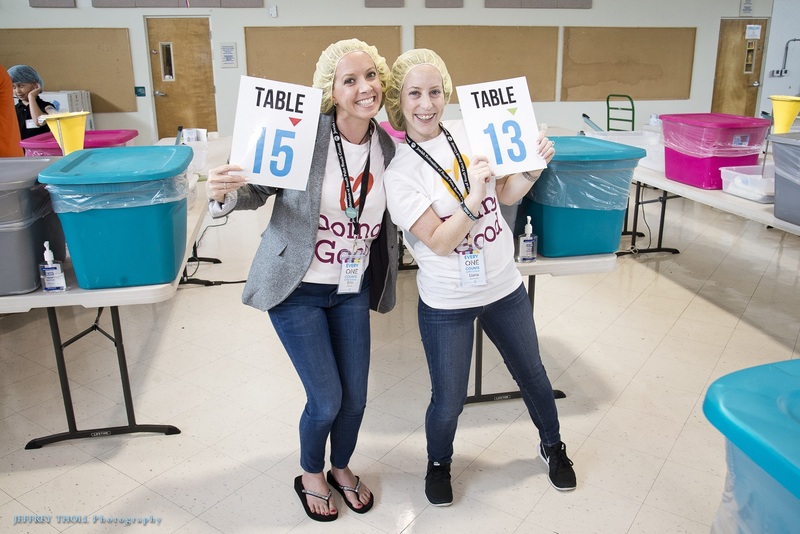 In regard to corporate hosted volunteer programs, 31 percent of companies reported using these programs to support core business functions, like team building. Within seven years, that number had shot up to 81 percent. In a world where corporate social responsibility has become the new norm instead of the outlier, the benefits of volunteering are clear. In addition, by leveraging your employees’ social needs with the needs of the community, your business meets at an opportune junction to enhance the needs and desires of our social good society. There are plenty of options when it comes to team building, but offering a volunteering program may be the most beneficial all around, especially for your employees. 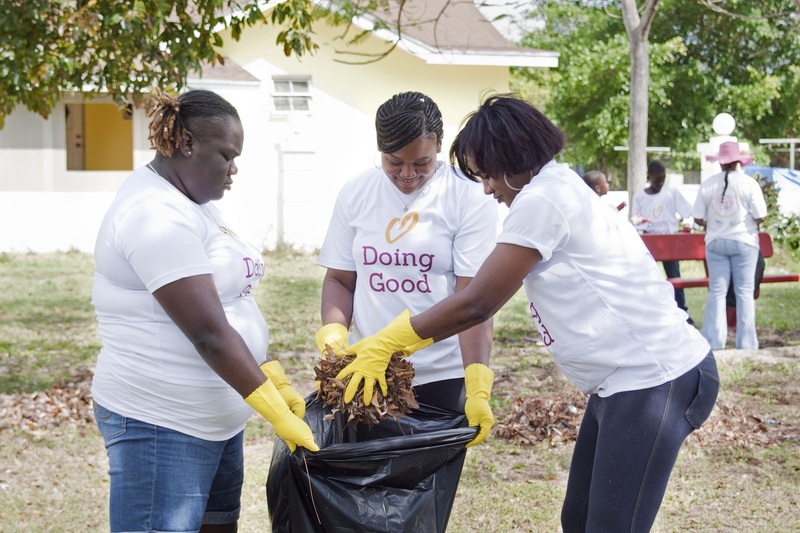 Miya Bahamas cleans up a playground. A volunteer program opens doors for a new way to communicate with coworkers, not only on the day of volunteering; but also throughout the preparation. Having the office vote on a worthy cause or initiate ideas for various projects can jumpstart any inter-office communication channels. Viva Energy, a first year partner organization, had over 68 percent of employees choose to participate in Good Deeds Day 2016. Jo Powell, Social Investment Manager from Viva Energy confirmed the heightened sense of communication between the employees and teams working together. It was clear that by creating the opportunity for employees to talk openly, the entire company is feeling the positive effect. While your business plan aims to fill one ultimate goal, employees spend their day to day working to achieve completely different things. 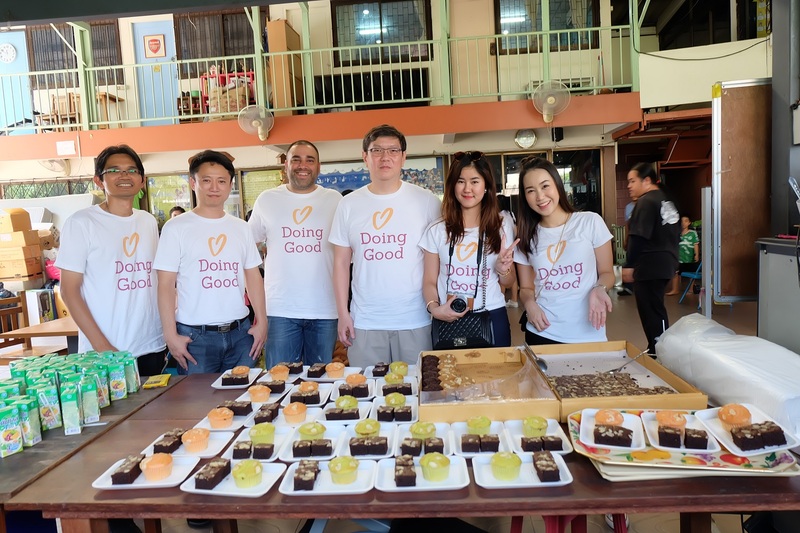 By hosting a volunteer program, it reigns in the team and reaffirms one goal to work towards – doing good for the community. When people gather together on the same mission, they naturally bond, enhancing teamwork, and it’s a win-win-win for all involved – your employees, your business and your community. Additionally, it’s an opportunity for employees to experience one another outside of the typical office setting. While someone may seem reserved in the office, they may act completely different they’re set out in the open. When Elbit Systems of America decided to join in the Good Deeds Day fun, they decided to add an extra layer to encourage teamwork. They held contests at each of their volunteer sites to decorate the boxes they were using for food collections. Teresa Williams of Elbit says “we were amazed at both the generosity and the creativity of the boxes!” The winning teams received a prize, and ultimately this helped bridge individuals into one more solid team. There is nothing more grounding than feeling secure and truly happy stepping into the office. Companies like Google or Zappos have proven that the benefits of creating a company culture outweigh the costs. By caring for employee wellbeing and applying humanity to the workforce, your business will excel. Infusing a volunteer program into your days is one great way to foster a positive company culture. By offering meaningful experiences for people to bond outside the office, you are also cultivating relationships, and helping people build trust. When people work in an open and trusting environment and when they consider their coworkers as ‘friends,’ a better work environment is created and the possibilities for inspiration become endless. Especially in larger companies, open pathways makes it easier to ask for help, cooperate with other departments, and exchange knowledge which may have otherwise been kept within. 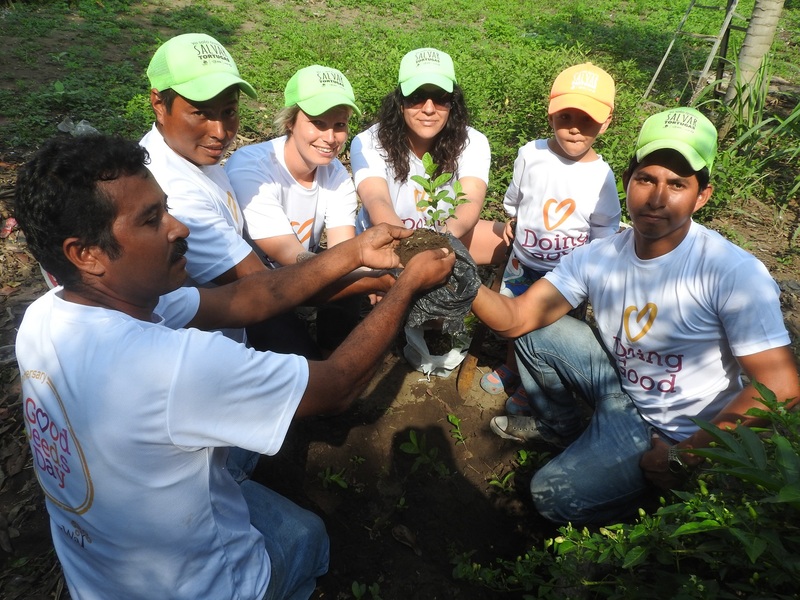 The Yepez Foundation builds bonds and plants trees for a local community garden. Often times, the bigger life picture gets drowned out by the day to day mundaneness of office life. By understanding the need for an individual’s sense of belonging and the desire to give back to the community, you create a more fulfilling and purposeful experience for people when they are in the office environment. This not only creates a more meaningful, healthy and happy life for your employees, but it solidifies that your company values people – and that’s all any employee wants at the end of the day. Merav Shina from Gilat Satellite Networks, another Good Deeds Day partner, mentions how the volunteer program has given their team a “great sense of belonging to something global and the will to keep it growing.” With the opportunity to initiate projects they felt connected with, employees were “elevated,” and have continued volunteering as a team ever since. To learn more about organizational and corporate volunteering and keep up with our “Complete CSR Toolkit” Series, follow us on LinkedIn. If you’re interested in joining millions of others on Good Deeds Day 2017, check out the Complete Toolkit on how to initiate your own employee volunteer program.